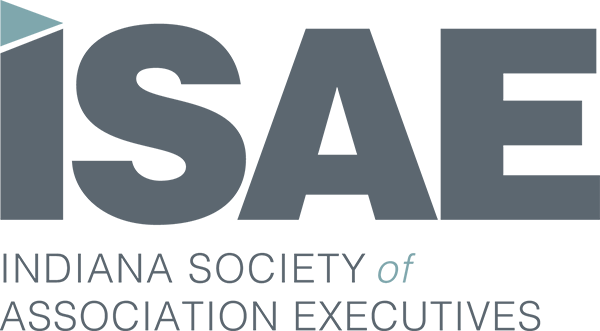 ISAE is proud to have nearly 100 members who have earned their Certified Association Executive (CAE) credential, the marker of a committed association professional who has demonstrated the wide range of knowledge essential to effectively and successfully managing an association. All association professionals and industry partners are invited to join us on April 16 for our annual celebration of Indiana's CAEs at the CAE Recognition Luncheon. We will begin the event with time to network with your association peers, then enjoy a delicious lunch courtesy of Saint Joseph Hall, followed by a dynamic keynote presentation. Saint Joseph Hall has a lot behind the building on North St. that has 26 spots. There are also parking spots off of College Ave. at St. Joseph’s Brewery. Thirdly, there is free street parking in close vicinity of the Historic St. Joseph Hall that is applicable if spots are open. As association professionals, we know first-hand that not all boards and committees are created equal. While one year can be smooth sailing, the next can be riddled with headaches. Having a plan for keeping these key volunteers engaged, focused and accountable can help solve an association’s greatest challenges, but it can be easier said than done. Join Boardable CEO Jeb Banner as he delves into the challenge of board/committee engagement and how it can be overcome. He will share the results of Boardable’s recent study on board member engagement and discuss ways that organizations can keep them accountable, establish roles and responsibilities, prepare for effective meetings and more, along with how these tactics can be applied to committees and taskforces beyond the board. Registration and networking – 11:00 a.m. – 11:045 a.m. Lunch and general ISAE announcements/recognition of new CAEs – 11:45 a.m. – 12:30 p.m.
Keynote presentation – 12:30 – 1:30 p.m. Parking: Saint Joseph Hall has a lot behind the building on North St. that has 26 spots. There are also parking spots off of College Ave. at St. Joseph’s Brewery. Thirdly, there is free street parking in close vicinity of the Historic St. Joseph Hall that is applicable if spots are open. As a CAE Approved Provider of educational program related to the CAE exam content outline, each attended session of this program may be applied for 1 credit hour toward your CAE application or renewal professional development requirements.